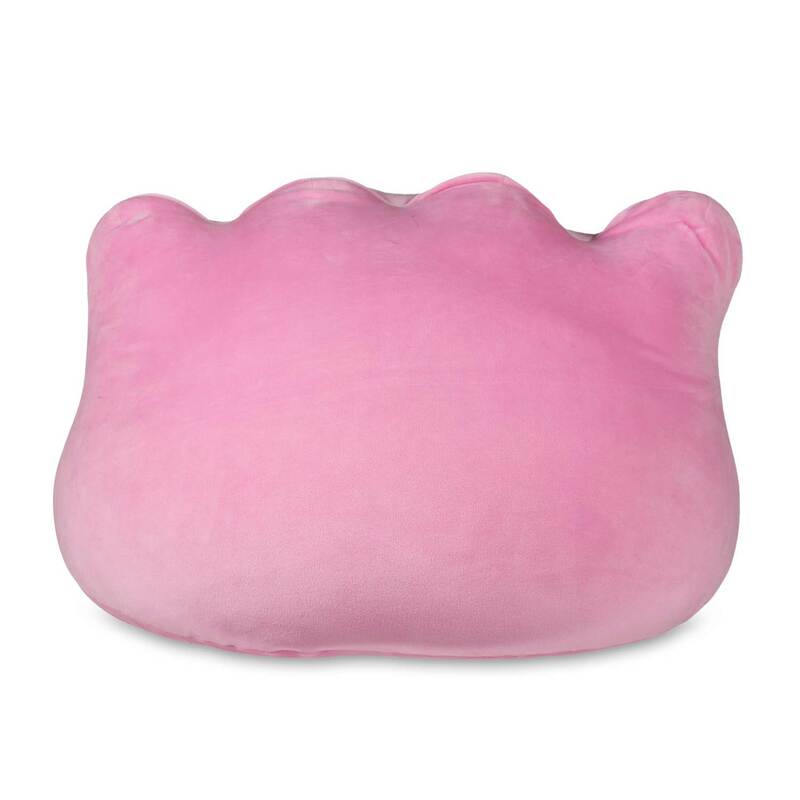 Ditto Large Cushion - 25 In. 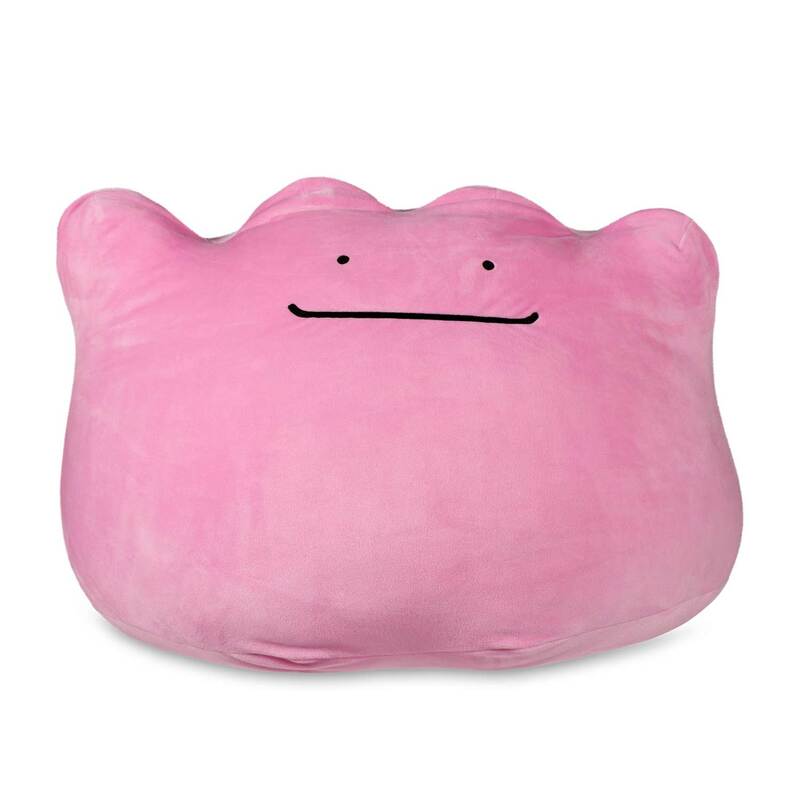 At over 2 feet wide, this amazing Ditto cushion is large enough to work as a small, comfy sofa! 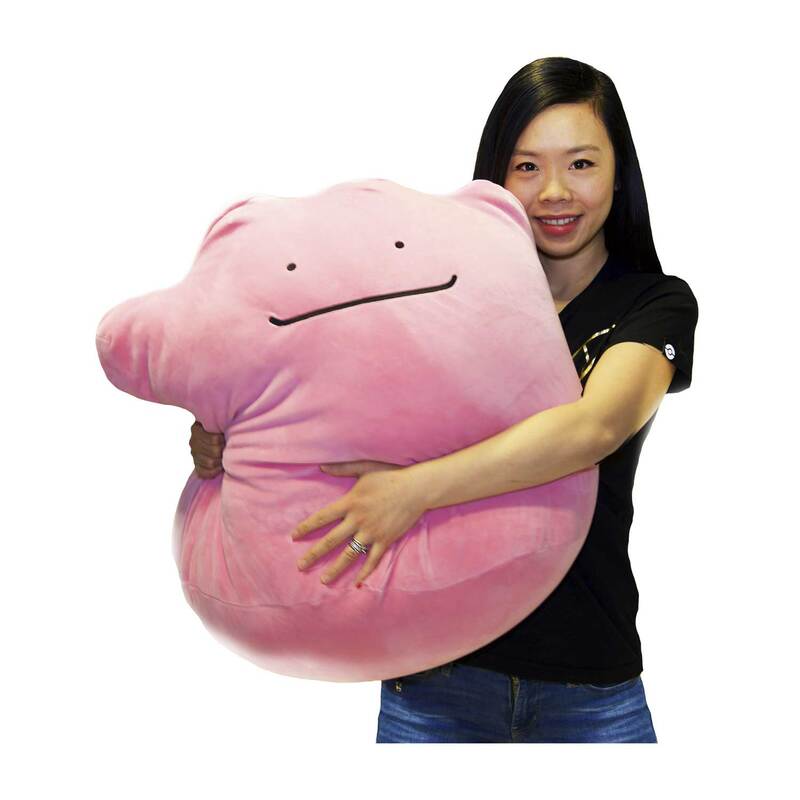 Flexible enough to mush into a variety of Ditto-like shapes! And pink enough not to be mistaken for any other Pokémon! 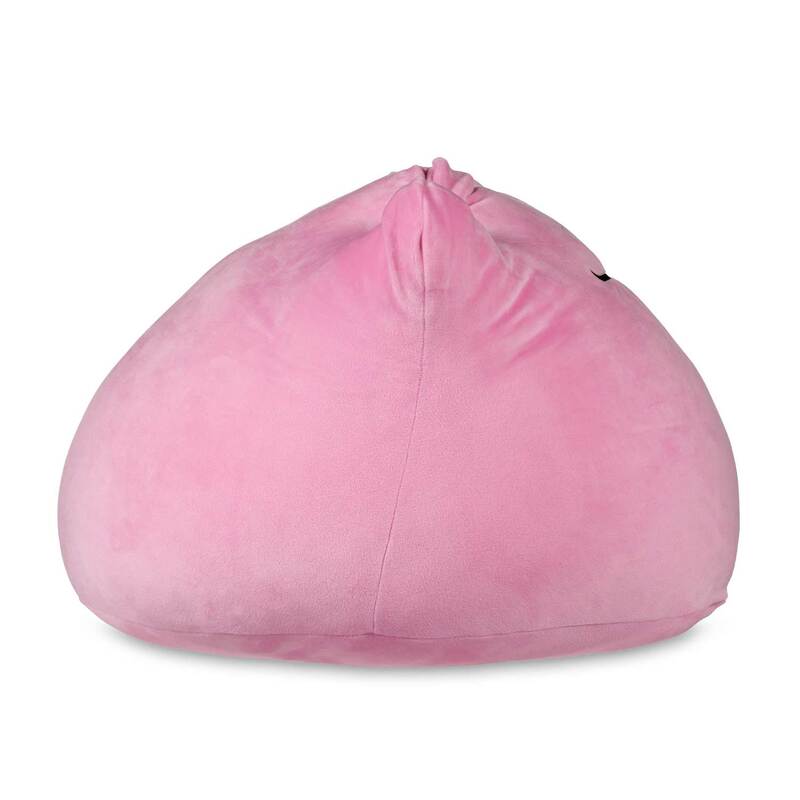 A big bundle of fun, perfect for playrooms and comfortable corners, and stuffed with stretchy filling that bounces back to Ditto shape. Large enough to be seated at the dinner table! Not capable of actual shapeshifting disguises! 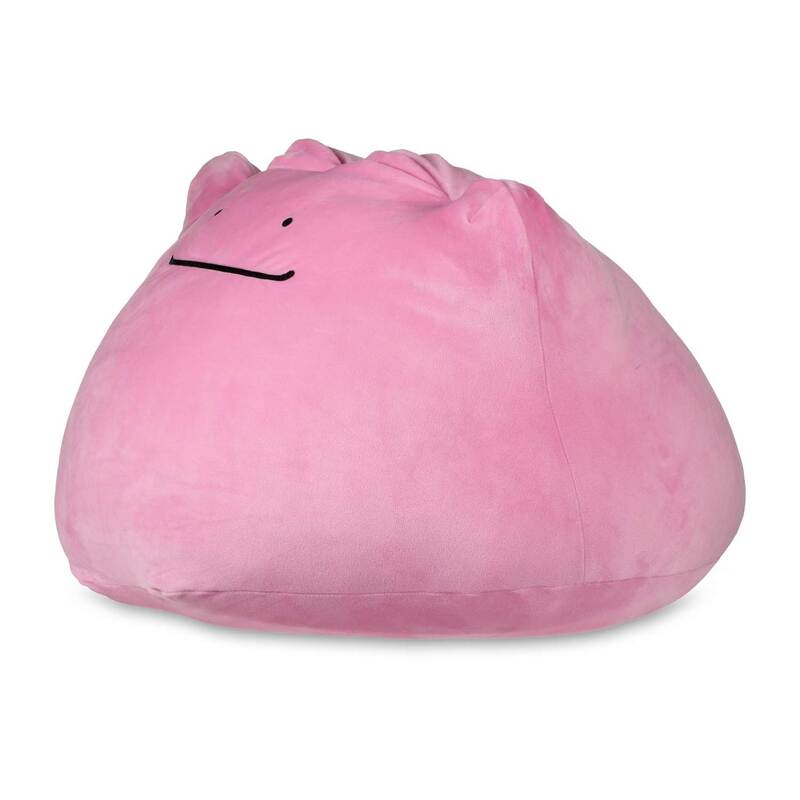 A glorious plush cushion like no other! Weighs more than 8 pounds!